United Way of Clinton County, Iowa brings people together to assess and address needs to improve local communities. The organization’s focus is on Health/Wellness, Education, and Financial Stability – the building blocks for a good life. This is accomplished by recruiting people and organizations that bring the passion, expertise, and resources needed to get things done. 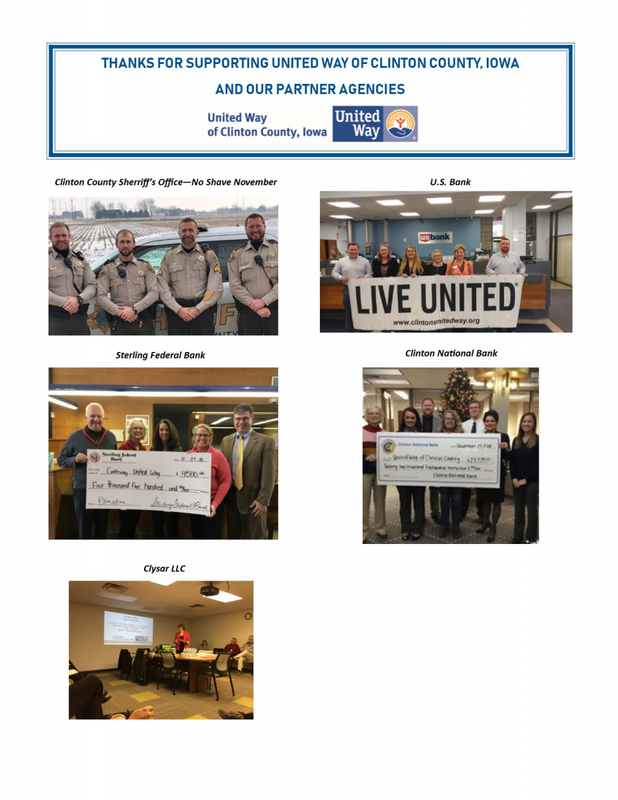 More information on activities and the campaign is available by contacting the United Way office at 563-242-1209 or uwclinton@iowatelecom.net. Like us on Facebook at UnitedWayOfClintonCountyIowa.